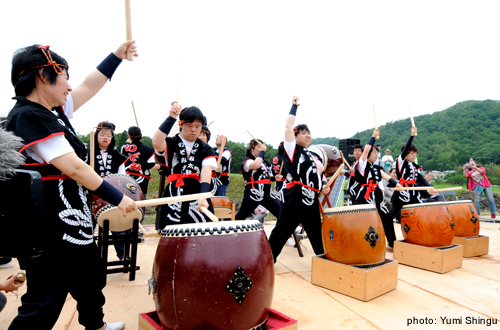 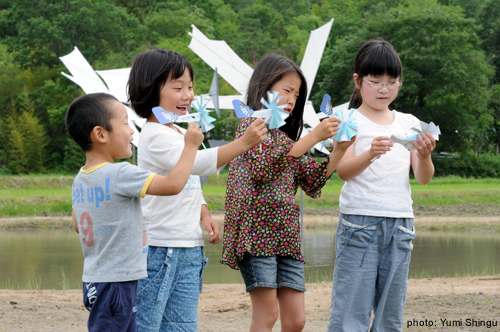 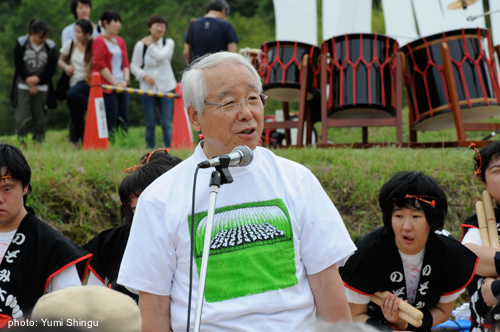 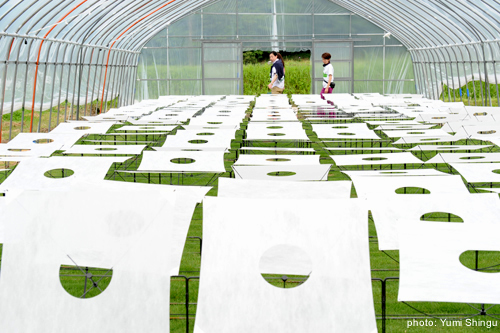 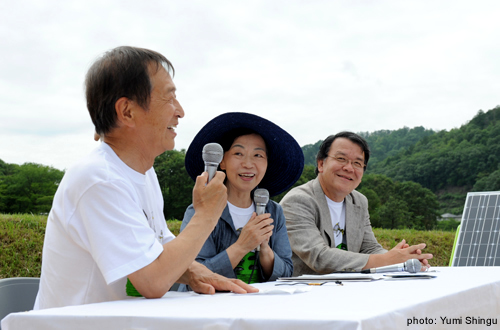 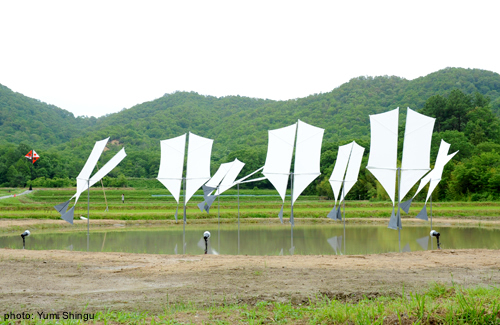 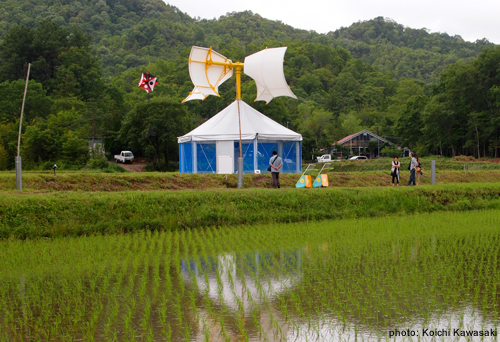 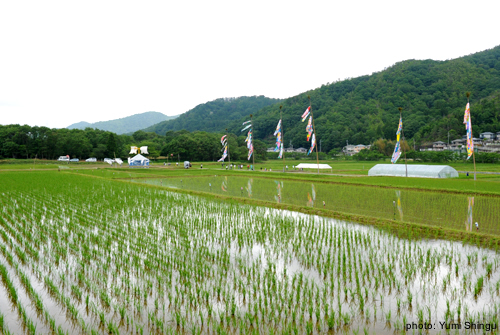 The Opening Ceremony of Atelier in the Rice Paddies was held on June 11, 2011. 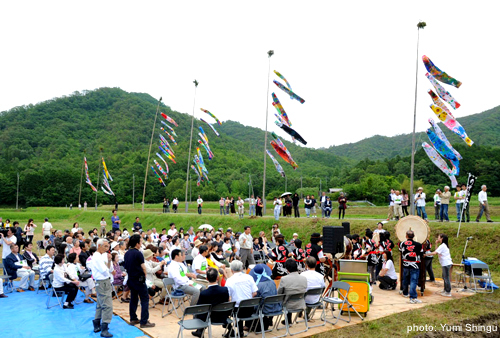 It was a miracle that rain stopped just in time for the open-air ceremony. 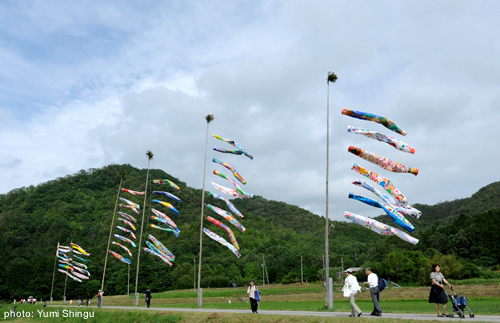 About 400 participants enjoyed nice weather in the middle of rainy season, looking at the sculptures in the rice paddies and genki-nobori streamers. 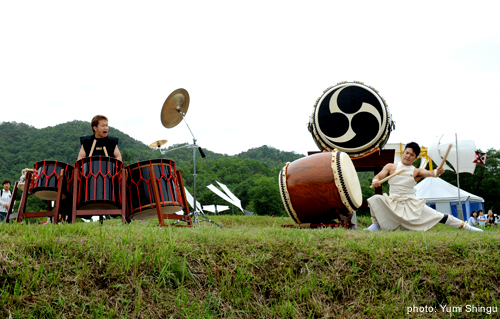 assistance by Fukei-Sekolo Co., Ltd.